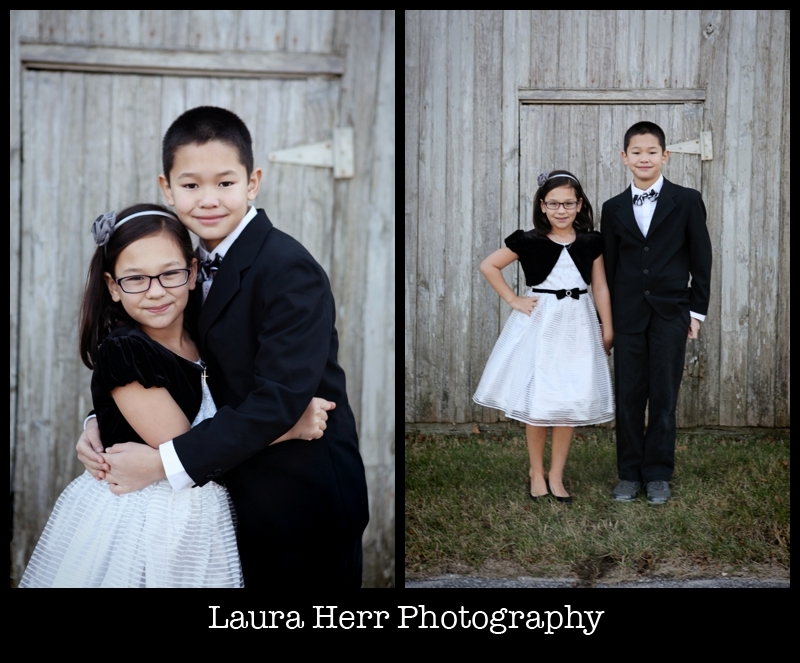 So, last Sunday, in between all of the craziness of getting back from Michigan and our big Children’s Christmas program, I took a good fifteen minutes, drove just down the road and did took our kids’ annual Christmas pictures. It was cold. But I’m pleased to share that this year went relatively well. 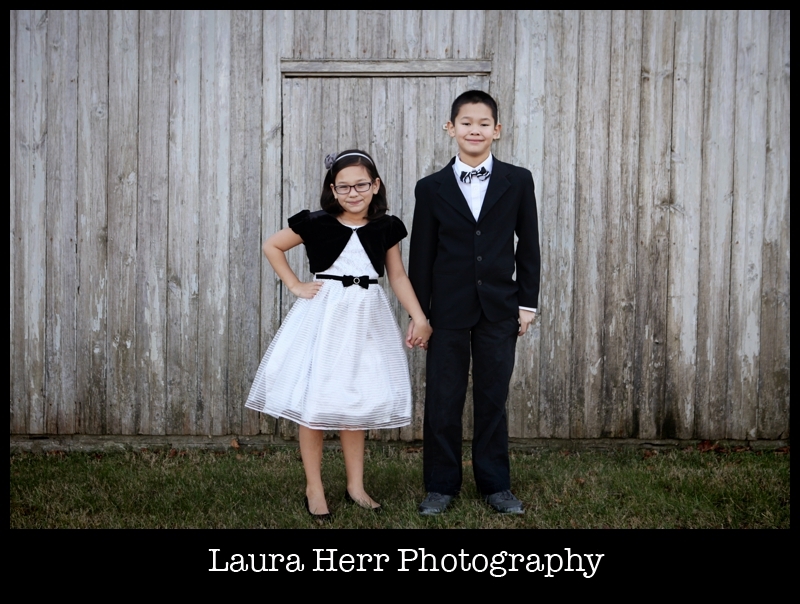 I bribed them just a little, and for the most part, they just decided on their own to make their photographer mama really happy by behaving. I’m so proud of our kids. 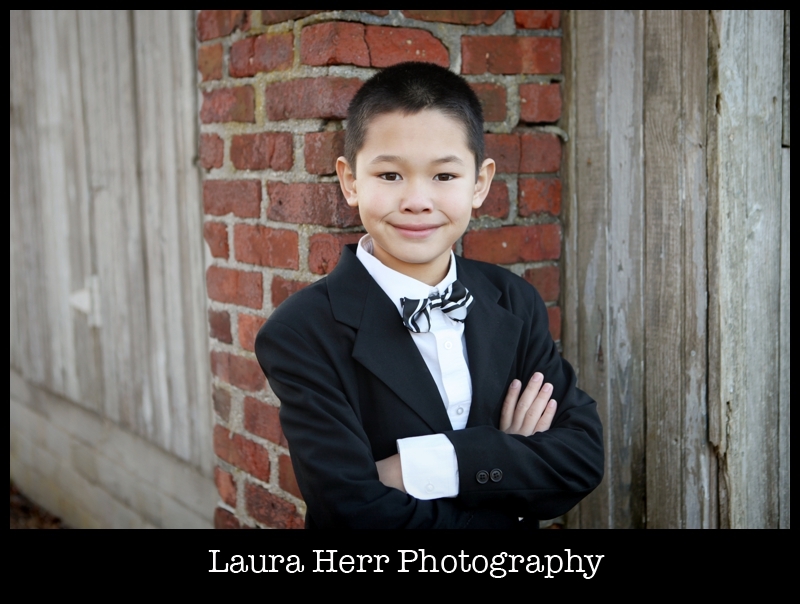 They are growing older and wiser and for the most part, we are really enjoying the stage that they are in. Sure it’s strange at times to think that we have a ten year old. But in so many ways, it’s awesome. 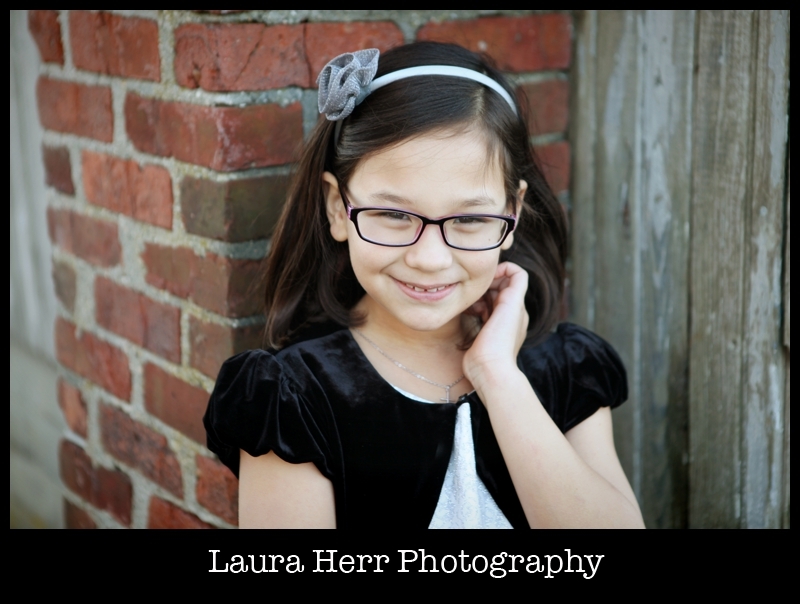 And this darling girl is embracing eight and we are thrilled with her and all that she brings to our family. The end of the session looked like this. Big brother took off his jacket to share with little sister, without me even asking. And it brought joy to this mom’s heart. 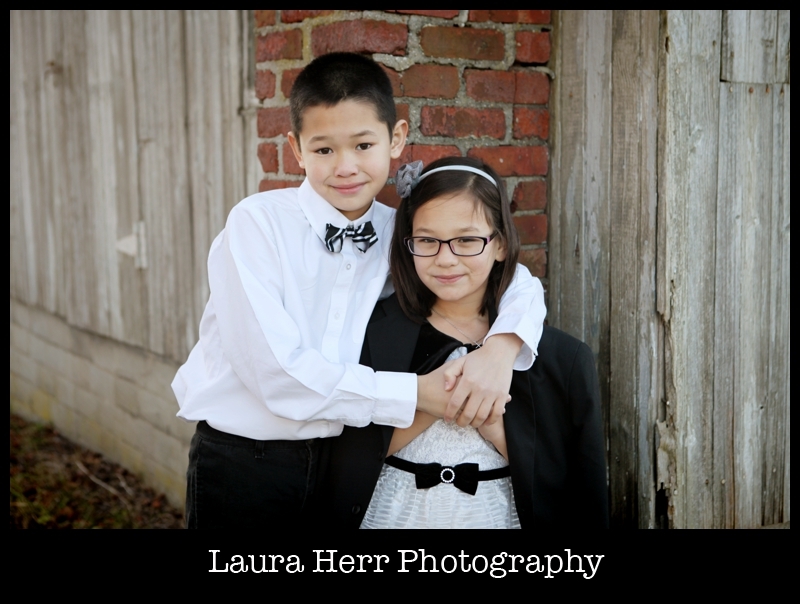 Because it takes work to have your kids get along, and it’s something that we work on often in our household. But it’s also something that is thrilling to see when it happens all on it’s own. After the pictures, I hurriedly ordered our Christmas cards through Tiny Prints, since they were offering a great deal with rush shipping. I realize that they will be a bit late this year, but it’s okay. I was happy to get them done, and happier for kids that behaved. Also, I just really wanted to share something new that I discovered, because I think it’s going to be really great for me and for our entire family, especially over the Holiday Break. It’s called Oyster and it’s amazing. It’s basically a library of tons of amazing books, many bestsellers and award winning. It has books for everyone and in the few days that we’ve checked it out, it’s been stirring up some great reading excitement in our household. Jeremy found a slew of Theology books and N.T. Wright, I found about twenty-five books that I can’t wait to read and in a wonderful turn of events, our kids are both incredibly excited for it too. Christian’s always enjoyed reading and is excited to check it out. But Ellee is also especially excited, which is thrilling for us. She already found a kids devotion book that I was thinking of buying for her and some other books that have gotten her super excited about reading. She’s hoping to wake up early tomorrow so she can start reading. Um, thank you Jesus for that. 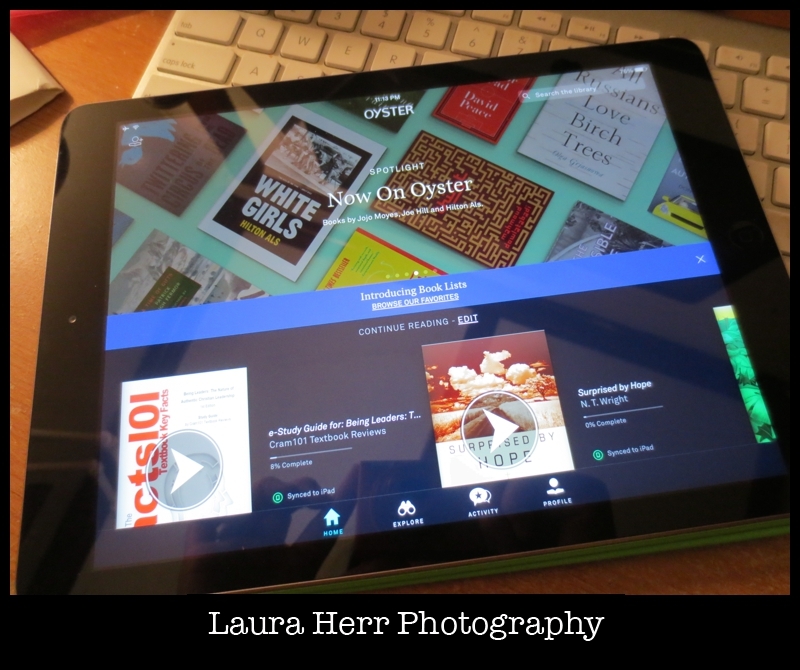 So basically, Oyster is a huge online library. You have access to all kinds of books and you can read all of them if you want (it’s totally unlimited access). The cost is $9.95 and they have a half of a million titles to chose from. 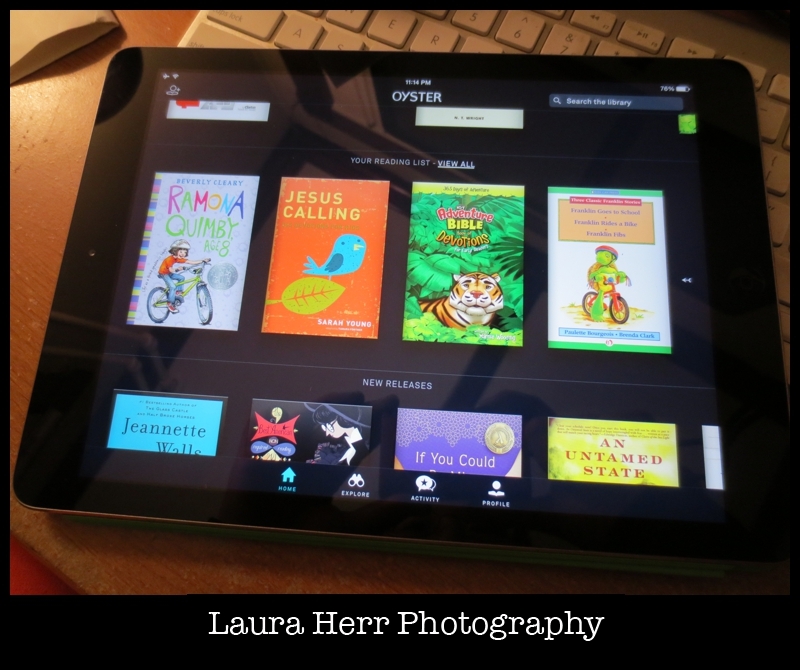 As per their info page, Oyster is available for Apple iOS, Android, Nook HD, and Kindle Fire, as well as on the web. I’ve had it for a day, and I’m hooked. I’m excited too because with the break, we actually will have lots of time to enjoy it. So, if it’s something that you might be interested, in, check it out. If you click here or on any of the affiliate links, you can try it for a month and a half for free (you’ll get a free $15 credit). And who doesn’t like free? If you find it’s not for you, feel free to cancel it at anytime. I know it’s something that will be great for our family and I was excited to share because maybe it will be something that will work for your family too.